There are two ways to choose the cardboard or base paper for corrugated cardboard boxes. One depends on the size of the corrugated box and the weight of the contents. Look up the corrugated board that meets the requirements of certain technical specifications. 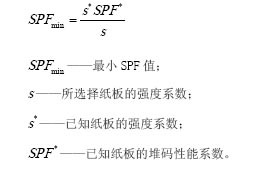 Secondly, the reverse is required through the calculation formula of compressive strength or stacking strength. The. two. Corrugated box production process production methods: stand-alone production, single-machine production, production line production. Correspondingly, there are respective production processes. The corrugated core paper is rolled into a corrugated shape. In the corrugating machine, the lower corrugating roller is usually a driving roller, and the corrugated teeth are meshed with each other to drive the upper corrugating roller to rotate, and at the same time, the corrugating medium sandwiched between the two rollers is moved forward, under the action of pressure and temperature, With the two rollers fully engaged, the core paper is rolled into corrugated corrugated paper. The corrugating process is essentially a hot press forming process. Similar to the embossing and embossing, two corrugating rollers can be regarded as a pair of concave and convex molds. Resistance wire heating, steam heating, liquefied petroleum gas heating and so on. (2) The role of pressurizing and pressurizing the corrugating roller: 1Promote the deformation of the core paper; 2Cure the corrugated shape. Screw pressure, spring pressure, compressed air pressure, and cylinder pressure. Role: corrugated shaping: cardboard molding; easy to use. Corn starch binders are commonly used. In actual production, the quality of the cardboard caused by the bonding is the most serious. Such as dislocation (too little sizing), dew exposure ("seesaw" phenomenon on the surface, caused by excessive sizing, while causing increased costs). The influencing factors include the properties of the adhesive itself and the bonding process. 3, die-cut creasing indentation type: single-point, three-point, five-point type. Slightly different from ordinary cardboard. 4. The most common printing method for box printing is letterpress (rubber plate). Inks use water-based inks. Support roll base paper for easy unwinding or unwinding. 2. Preheating device for preheating base paper and single-sided corrugated cardboard (for rolling tile, bonding service). 3, single-sided machine watts, sin. The core equipment. The role of paper guide (sheet) mechanism: from the upper corrugated roller. 4. Overpass transit station, buffer zone, flexible connection to realize continuous working of the production line. 5. The gluing machine produces multilayer boards. After glueing, the board is further glued. The heating zone and the cooling zone are divided into two sections. After the printing, longitudinal indentation, cut corners, slotted into box blanks. The flat low-carbon steel wire is made into a u-shaped nail synthetic product. In addition, the corrugated box factory also has the following equipment: Adhesive Tape Dispenser, Folding-Adhesive Tape Dispenser, Folding-Adhesive Box Dispenser, Flexographic Printing-Folding-Adhesive Box Dispenser, Folding-Slotting Machine, Wax Coating Machine, Coating Machine, Curtain Curtain coating machine, complex machine.